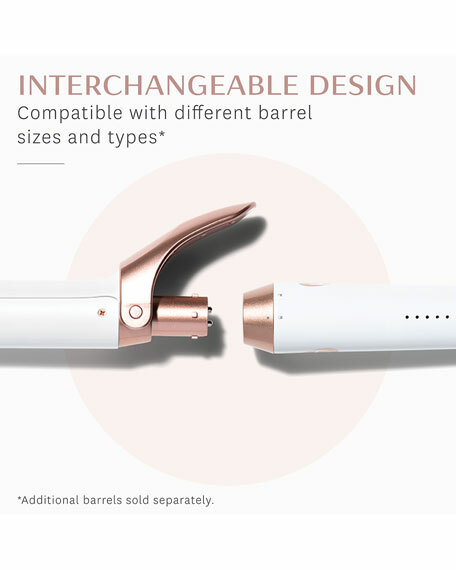 T3 Twirl Trio Interchangeable Clip Curling Iron Set: 1", 1.25", 1.5"
T3Twirl Trio Interchangeable Clip Curling Iron Set: 1", 1.25", 1.5"
Three interchangeable clip barrels. Endless styling possibilities. 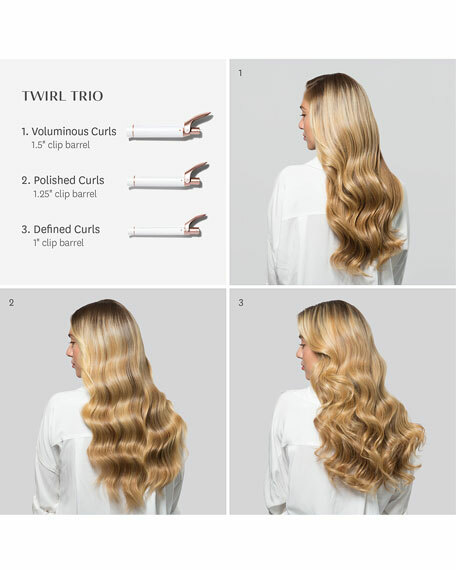 The Twirl Trio's interchangeable barrel design allows you to effortlessly create glamorous curls, classic defined curls or full-bodied big and bouncy curls. 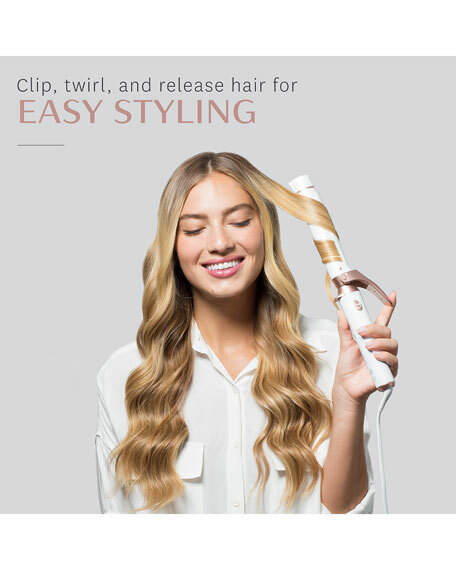 Effortlessly create polished curls, defined curls, or voluminous curlsand everything in between. The Twirl Trio includes three barrels (1" Clip Barrel, 1.25" Clip Barrel, 1.5" Clip Barrel) to create an array of looks for any hair length or occasion. 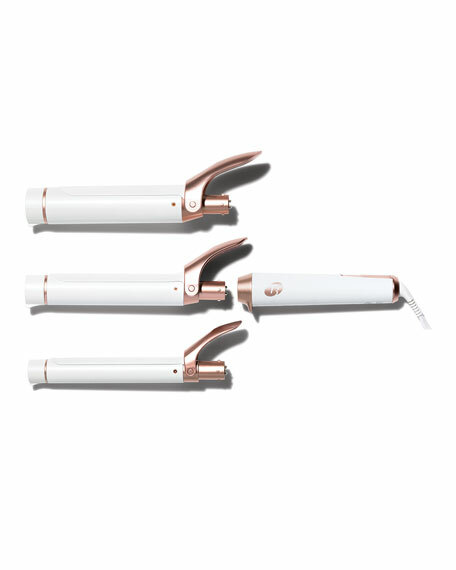 The Convertible Collection features rapid-response Digital T3 SinglePass® technology which maintains even heat across the barrel the entire time you style while the surface of custom blend ceramic smoothes flyaways, imparts shine, and locks in the style all day long. The interchangeable barrel design also offers great versatility to explore endless looks with additional T3 barrels (sold separately). 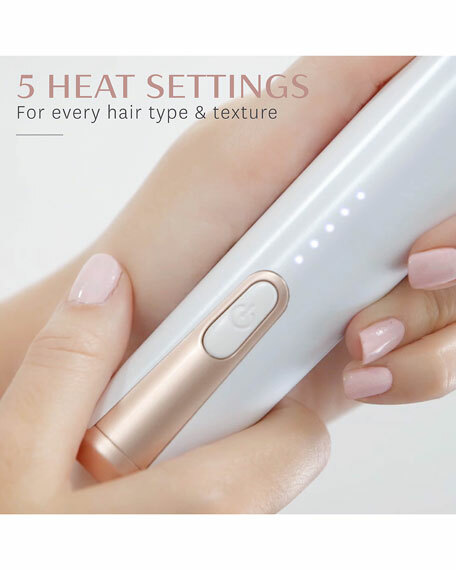 Internal microchip constantly measures and maintains even temperature across the entire barrel for fast, uniform results without exposing hair to unnecessary heat. Custom blend of ceramic materials seal the cuticle fast to retain moisture and produce shiny, frizz-free results that last. Easily create countless shiny and damage-free looks without having to buy an arsenal of hair tools.